Mahmoud Abu Zaid, aka Shawkan, has been imprisoned for more than 900 days whilst covering the clearance of Cairo's Raba'a el Adaweya camp in support to ousted president Mohamed Morsi. Photo shared on Twitter by @Ciluna27. The Egyptian parliament is reviewing a bill that would require social media users in Egypt to register with a government authority in order to use social media websites including Facebook and Twitter. Within six months of the law's adoption, users would have to register on the authority's website with their real names and state ID numbers to be able to use social media networks. Failure to do so could bring punishment of up to six months in jail and a fine. The bill, which has been endorsed by 60 members of parliament, is awaiting discussion by the parliament's legislative and constitutional committees before it is referred for plenary debate. On 8 May, another MP submitted a draft law that would introduce harsher penalties for those convicted of insulting the president and high ranking officials. Egyptian law already criminalizes insults to the president and state institutions, however the proposed draft law would impose jail time and harsher fines, according to legal experts at the Tahrir Institute for Middle East Policy. The law’s approval could mean those convicted of insulting the president would face up to three years in jail. If approved, these laws would undergird a political climate in which rights to free speech and assembly have already been under persistent threat for many years. One prominent example is the case of popular photographer Mahmoud Abu Zeid (known as Shawkan) who was arrested in August 2013, while photographing Egyptian security officers using undue force against protesters who were opposing the military coup that removed elected president Mohammed Morsi from power. 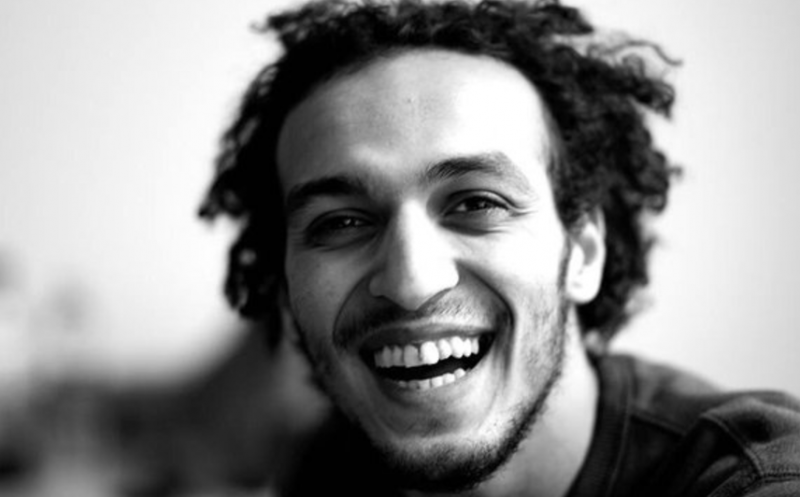 Shawkan has been in pre-trial detention for nearly four years, awaiting trial alongside more than 700 protesters who were arrested in the same incident. The trial was most recently postponed to 20 May, due to prison authorities’ failure to bring the accused from jail to the courtroom, rights groups reported. Shawkan could face the death penalty for what rights groups widely agree are trumped-up charges, including weapons possession, illegal assembly, murder and attempted murder. In another case, a criminal court in the city of Giza acquitted journalists Hany Salah-el-Deen and Mosad Al-Barbary, who were arrested for their coverage of a pro-Morsi sit-in at Raba'a Al-Adawiya square in Cairo. The court also reduced the sentences of Abdullah al-Fakharany, Samhi Mustafa, and Mohamed al-Adly–all arrested in the same incident, from 25 years to five years. On 3 May, Tunisian authorities spent six hours interrogating Sami Ben Gharbia, co-founder of the independent media platform Nawaat and of Global Voices’ Advocacy project. Ben Gharbia was questioned primarily about a leaked action plan from the Presidency of the Republic, which indicated strong support by the president for a controversial draft law that would grant amnesty to business people and officials accused of corruption during the regime of former dictator Zine el-Abidine Ben Ali, provided that they return any unlawfully obtained funds. Nawaat published the document, which sheds light on the presidency's strategies to lobby support for the bill, on 21 April. Ben Gharbia has refused to reveal his sources in accordance with Article 11 of the country’s press code, which grants journalists source protection. However, on May 9 he appeared before a primary court in Tunis, as a witness in the case. Will China make social mediaites show ID at the door? Chinese social media users may need to obtain a permit before writing or distributing news on social media, according to new regulations issued by the State Council Information Office. The regulations also contain a real name registration provision, which several analysts speculate are intended to eliminate anonymous commenting from social media news threads. It is unclear how authorities plan to implement the regulation–it seems nearly impossible to do so at scale. On social media, Chinese netizens suggested that the rules will be enforced only selectively, to restrain independent and citizen journalism. See you on WeChat? Not in Russia. On May 4, Russia’s federal censor blocked WeChat, China’s largest mobile messaging app. According to Roskomnadzor, WeChat failed to register with the federal government as an “information-dissemination organizer.” This designation is part of a 2014 law under which the Russian government manages a list of online services that “organize the dissemination of information” and can hold them responsible for removing content and disclosing user data at the request of authorities. Today, this list includes websites like Vkontakte and Odnoklassniki (Russia's two most popular social networks), the image board 2ch.hk, the email client Mail.ru and dozens of other services. A Turkish court ordered Wikipedia blocked in Turkey after site administrators refused to remove two English language pages that claimed Turkey channeled support to jihadists in Syria. According to the Ministry of Transport, Maritime Affairs and Communications, the site was blocked for “becoming an information source acting with groups conducting a smear campaign against Turkey in the political arena”. This is the first time that the country has fully blocked the site, joining China as one of a few countries in the world to block Wikipedia entirely. The UK government is in the midst of a ‘targeted consultation’ regarding increased surveillance powers that would force ISPs to monitor communications real time and install backdoors to break encryption, according to documents leaked this week. The government has consulted with telecom companies and intelligence agencies on the draft, but not with other tech companies or civil society. Despite this, the consultation remains open through 19 May, and responses from members of the public may be sent to the Home Office. Afef Abrougui, Ellery Roberts Biddle and Sarah Myers West contributed to this report.